Golf Life got the chance to talk with author Zeb Welborn of 19th Hole Media about his new book The Social Golf Course: Increasing Rounds with Social Media that he co-wrote with John Hakim from Greenskeeper.org. The book is a basic introduction to golf course marketing with social media. Let’s learn more from Zeb Welborn. My name is Zeb Welborn and I’m the owner of 19th Hole Media. 19th Hole Media is working to grow the game of golf by using social media to help golf courses reach more customers, convince golfers to play more often and create a loyal community of golfers at the local golf course. I have an extensive family tradition in the sport. My great grandfather came to America with a recommendation from the legendary James Braid. My grandfather played golf his entire life and was the president of the Men’s Club at Western Hills. My Dad has been a lifetime golfer and golf writer for numerous golf magazines. And my cousin Ryan played in the 1999 U.S. Open at Pinehurst. I recently co-authored a book, The Social Golf Course: Increasing Rounds with Social Media, with John Hakim, the owner of Greenskeeper.org. The Social Golf Course is for golf course owners and operators explaining how they can use social media effectively to increase profits and grow the game. GL – Why write a book about this topic? 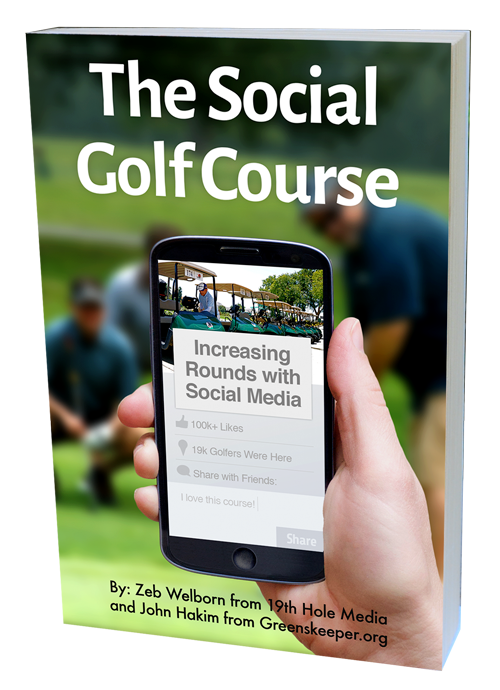 I decided to write a book about social media for golf courses because after talking with many golf course owners and operators, I understood that many of them did not understand how social media could benefit their business. Golf, as an industry, has declined from 2005 until 2012. It is starting to make a comeback, and I think I can help golf courses be more successful by showing them how to use social media effectively. The majority of golf courses are not doing social media well….